Planning for Translations – Where to Start? 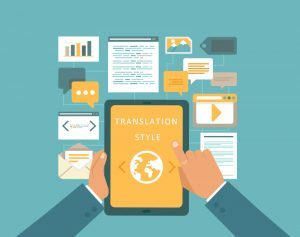 A theme that I am frequently requested to create educational events about is how enterprises should plan for translations, and how to choose the right solution for their specific needs. Options range from employing freelance translators or full-service language service providers (LSP), to hiring in-house translators. In a detailed white paper, CSOFT International outlines the pros and cons of these decisions with some key traits for each. How many languages do you require? How many projects do you typically require a year? How important is the quality you require – or will that vary per project? What is your budget or do you have the necessary staff to manage freelancers and translation projects? In the life science sector their can be multiple levels of translation projects which must frequently meet rigorous standards, regulations, and guidelines. A well-established strategy for translation projects can save money and time in the end. Different levels of translation requirements exist unique to the industry, including sensitive documentation, medical terminology, information for use (IFU), and user manuals for a variety of end-users.